Nice Dog, Scarlett! is friendly and approachable dog training for family pets of all breeds. It uses positive reinforcement to engage your dog in learning. Your dog will look forward to training as quality one-on-one time with you, his guardian and best friend! We emphasize socialization, manners, effective communication, safety, and problem prevention techniques. All while playing games and having fun. A group obedience course is 6 classes (1 hour per week), and you must attend the final class to complete the test. Nice Dog, Scarlett! Uses both classical and operant conditioning to help dogs establish a positive association with coming to class, the training area, meeting new people and learning new things. Once your dog is relaxed and having a good time, he will be able to understand what you’re cueing him to do, and enjoy doing it! We keep the training sessions positive, and work on boosting confidence. Incorporating activities and games is a great way to engagement and use the skills in a more real world way. WHERE: Planète Hollywouf, 305 rue Lawrence, Greenfield Park. Please click the register now button to go to the online registration page. You must bring proof of vaccination to the first class, as well as your dog, a flat collar or a harness, a standard 4-6 foot leash, 1 handful of your dog’s regular kibble and one handful of a high value treat. 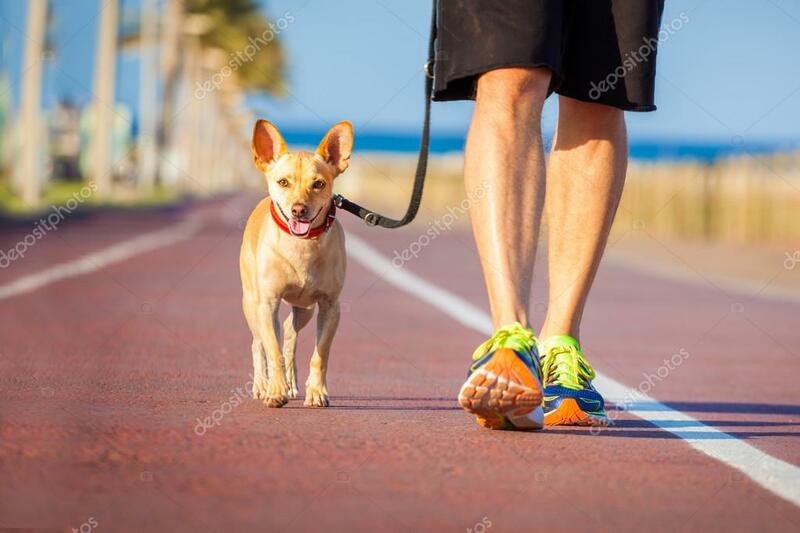 Owners of dogs over 20kg must bring a harness and “pit bull type” dogs must also a bring a basket style muzzle to practice making it a ‘treat basket’. The dog does not have to wear the muzzle for the entire class, but we want to desensitize the dogs to see wearing it as a positive, not a negative! 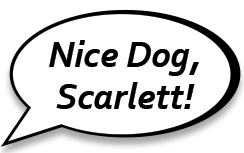 *Nice Dog, Scarlett! does not discriminate against any breed or mixed breed dog; the additional requirements are to comply with municipal bylaws. Nice Dog, Scarlett! seeks to make the muzzle requirement as minimally intrusive as possible for the dogs. The 6th class will be the obedience test. Family members are welcome to attend, but children must be old enough to sit quietly and watch, or follow instructions and participate. We are happy to involve children in the training process, but we do not have babysitting services available. No Prong collars, slip collars (choke chains) or electric collars are permitted. No flexi (retractable leashes). Please wear appropriate footwear; open toes sandals or high heels are a safety hazard and are not appropriate footwear for dog training. Please include your dog’s name in the notes section in your online registration.